The all-new 2017 Dodge Grand Caravan is one of the greatest minivans out there. This is an iconic family car that only continues to service families in the new model year. 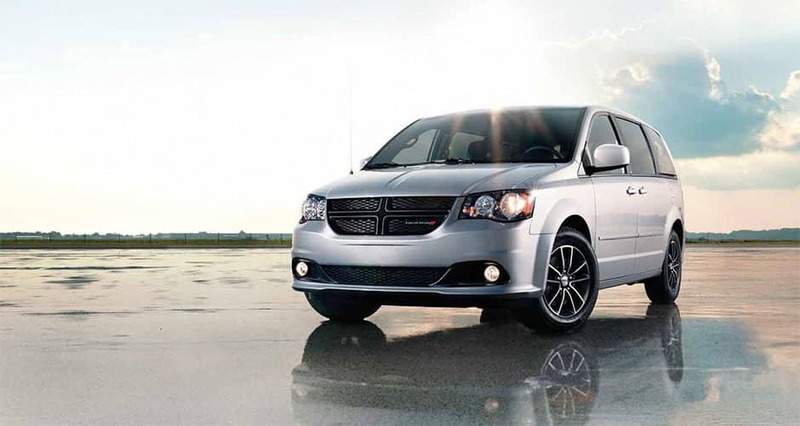 With its many trim levels and available features, you can customize your Grand Caravan to meet your family's needs. Please read on to learn more about the all-new 2017 Dodge Grand Caravan. The new 2017 Dodge Grand Caravan is a seven-passenger minivan that is available in four various trim levels. These trim levels include the SE, SE Plus, SXT, and the GT. 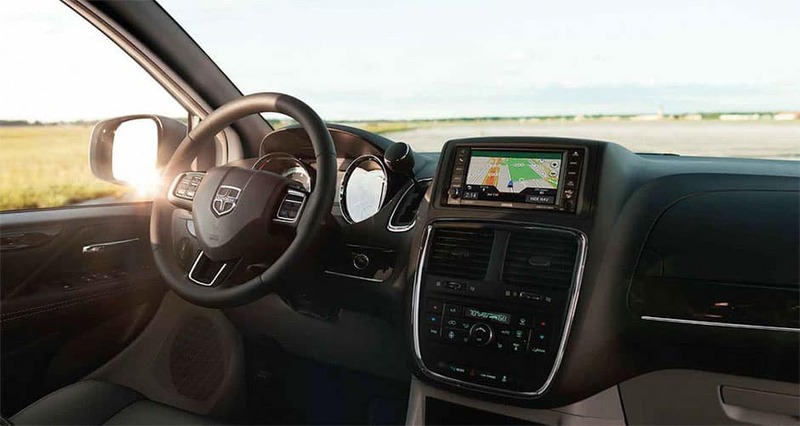 The base trim is equipped with many solid features such as 17-inch steel wheels, heated mirrors, tri-zone climate control, rear air conditioning, cruise control, and a tilt-and-telescoping steering wheel with audio controls. There are also features such as a conversation mirror, a second-row bench seat with the Stow 'n Go fold-into-the-floor feature, and power locks, mirrors, and front windows. The engine option for the 2017 Dodge Grand Caravan is the 3.6-liter V6 engine that produces up to 283 horsepower and 260 lb.-ft of torque and is matched with a six-speed automatic transmission. The 2017 Dodge Grand Caravan is spacious enough to house up to seven passengers and is upholstered throughout with cloth and plastic. There is also the extremely useful Stow 'n Go second-row that allows for the second-row seats to disappear into the floor with a simple flick of a lever. This feature is standard on every trim level of the Grand Caravan and can easily transform from maximum passenger carrying mode to max cargo carrying mode. The third row of seats also fold backward into a deep cargo well, which only makes the cargo hold increase. There is about 33 cubic feet behind the third row and then increases into 143.8 cubic feet by folding back all of the seats. A 6.5-inch touchscreen interface that also comes with a rearview camera will be standard on all Grand Caravans and is very easy to use. Other technological features include a six-speaker audio system, CD player, and an auxiliary audio jack. 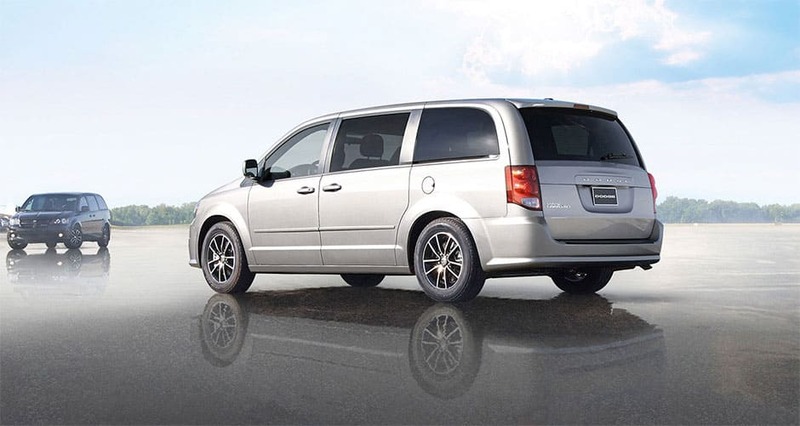 You can fit up to seven passengers in the 2017 Dodge Grand Caravan. The 2017 Dodge Grand Caravan is essentially a family car and is packed with standard safety features to keep your loved ones safe. These safety features include stability control, antilock disc brakes, active front head restraints, a driver knee airbag, front-seat side airbags, and full-length side curtain airbags. A rearview camera will also be standard later on in the model year. There are also optional features that you can pick and choose from the GT-specific Safety Sphere Group which includes a blind-spot monitoring system and rear parking and cross traffic sensors.